← PBL Mania … Online Planning Form, Free Webinar, Edmodo Community, Twitter Chat Night, New Conference, And More! 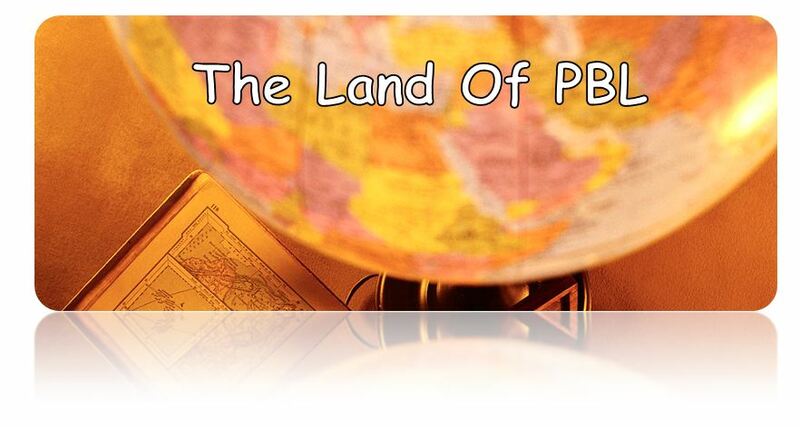 Welcome to the land of PBL knowledge. I searched the internet for some of the very finest links leading you to some of the best resources regarding PBL. I start our journey with what I consider the mother lode of PBL resources at the BUCK Institute (BIE). After all…BIE is a world leader in PBL. BIE – Also known as the BUCK Institute for Learning. Check out this site for activities, videos, handouts, and research. BIE is the mother lode of PBL and its site is one of the best. You can also contact BIE for professional development needs. Here are some highlights to explore inside this site. BIE Videos – What Is PBL Video – A great collection of videos that demonstrate PBL and its best practices. PBL Example Projects – Are you looking for some project ideas… watch these videos to learn even more. How to do PBL – Perhaps you are looking for various ways to work PBL into your class, subject, school, or district. Great information is found here. BIE PBL Research Library – Here you will find a wonderful collection of research summaries, full papers, and presentation materials. These provide evidence for PBL effectiveness and provide knowledge of effective PBL practices. BIE PBL Do IT Your-Self Kit – BIE has developed this Do-It-Yourself (DIY) Tutorial based on the PBL Toolkit books and highlights from the popular PBL 101 Workshop. The kit provides easy to read and watch, to-the-point advice about designing your project, along with some tools to help you do it well. BIE FreeBies – What a wonderful collection of documents perfect for PBL. Included are over 20 resource document to make your PBL life just a little easier. BIE Electronic Project Planner – This is an awesome place for educators to electronically create their own PBL lessons using a unique digital form. Not only can teachers create, but can also store in the BIE cloud. West Virginia Department of Education Teach 21 – The Project-Based Learning designs on this website were created by West Virginia teachers who worked with the WVDE Office of Instruction through participation in the Teacher Leadership Institute, the Secondary PBL project, content-specific professional development in mathematics, and the Model Schools and Classrooms project. As they continue to work with teachers across the state , West Virginia DOE will continue to post new PBL designs and tools to this site. West Virginia PBL Tools – A great set of management tools that are used in the Project Based Learning plans on Teach 21. You will find rubrics, checklists, task management charts, learning logs and other documents that will help your PBL planning and delivery. Most of the documents were created by West Virginia teachers and used in the PBL activities on Teach 21. Other documents were created and published on the Novel Approach PBL website, which is no longer on the internet. WV was given permission by the creator of the site to continue using these PBL documents. Edutopia – A premier site for “what works on education”. A must visit for anyone considering transformation and real child-centered learning. Edutopia is wonderful resource of outstanding articles, research, video, and activities. The link provided takes you to the Project Based Learning Site of Edutopia. Let’s spend a moment and take a closer look. First the main PBL page has several must see videos that help explain the process. PBL Online – Another PBL site that works as a cooperative effort of BIE, Boise State University, and Edutopia. 4teachers – Home of age-appropriate, customizable project checklists for written reports, multimedia projects, oral presentations, and science projects. Intel – While Intel is a large company… this link points to a division that focuses on PBL. Intel is worth a visit for some great ideas and resources. New Tech Network – New Tech is an outstanding group of high schools that are dedicated to PBL in the curriculum. High Tech High School – High Tech is another high school network growing across the United States using PBL as a model for reform. Global Schoolhouse – Whether you’re just starting out, or ready for advanced levels — this tutorial will help you to implement collaborative, project-based learning on the Internet. Great list. Can we add LifePracticePBL.org?